So much for the internet destroying printed media. 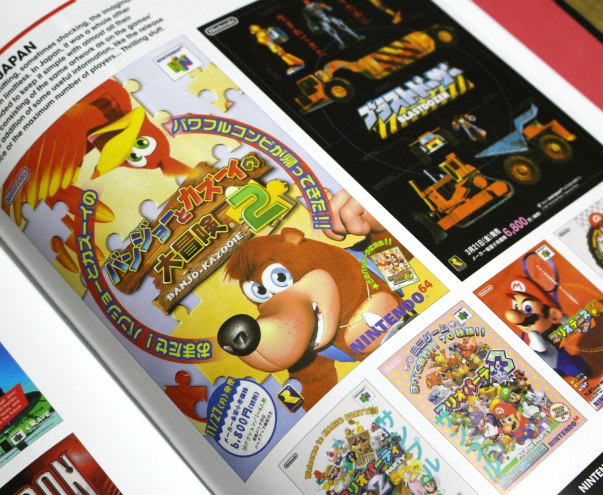 In the past few years we've seen a wealth of amazing video game-related books, including Sega Mega Drive: The Collected Works, Britsoft and – still to come – the NES Visual Compendium, all of which owe a debt to the web in some way, either thanks to crowdfunding or simply online word-of-mouth driving sales. 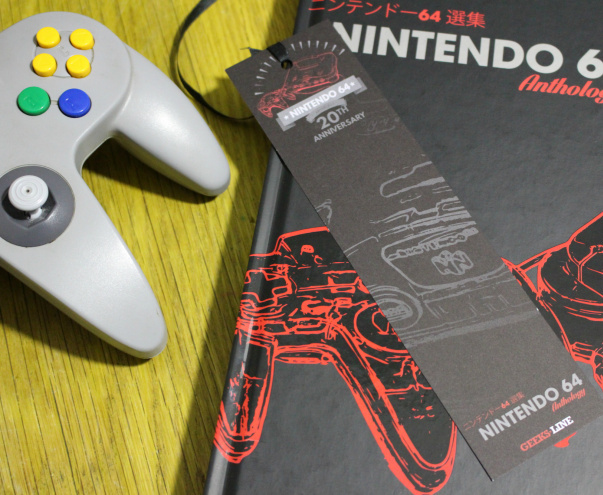 Another fine tome to add to that list is the Nintendo 64 Anthology from Geeks Line. A Kickstarter campaign raised €67,593 earlier this year and now the finished product is here, and as you might expect it's an essential purchase for fans of Nintendo's 64-bit powerhouse. 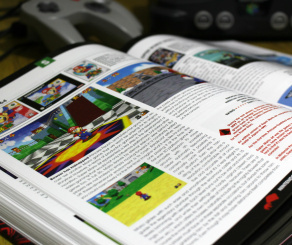 Written by Mathieu "Math" Manent, the Nintendo 64 Anthology aims to be a comprehensive resource for anyone interested in the story of the system. 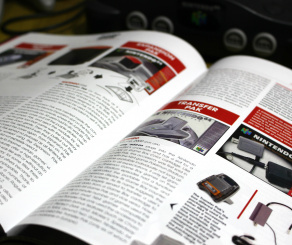 Not only does it include an incredibly detailed history – which looks at the industry at the time of launch, the deal with Silicon Graphics and how Nintendo handled the announcement and release – but it also an A-Z guide to every game released on the console worldwide, an interview with the legendary Martin "GoldenEye" Hollis, hardware details, accessory profiles, collector's items, cancelled games and even a brief glimpse at some of the best (and worst) adverts for N64 titles. The level of detail borders on the obsessive, but never becomes overwhelming. Even if you only have a passing interest in the N64 you'll still be interested to see all of the different colours the iconic controller was released in, or observe the various hardware bundles which launched internationally. 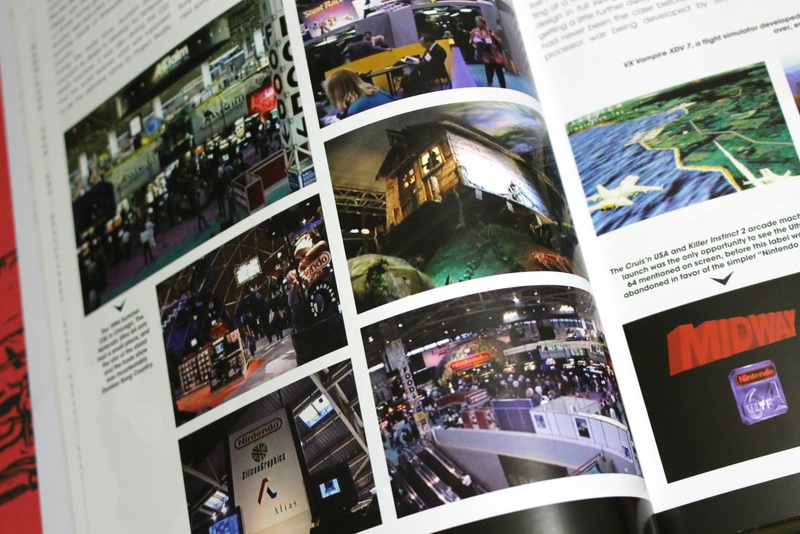 The book strikes a near-perfect balance between text and imagery, filling each page with eye-catching photos and pin-sharp screenshots to such a degree that practically any page it falls open on has something to catch your attention. 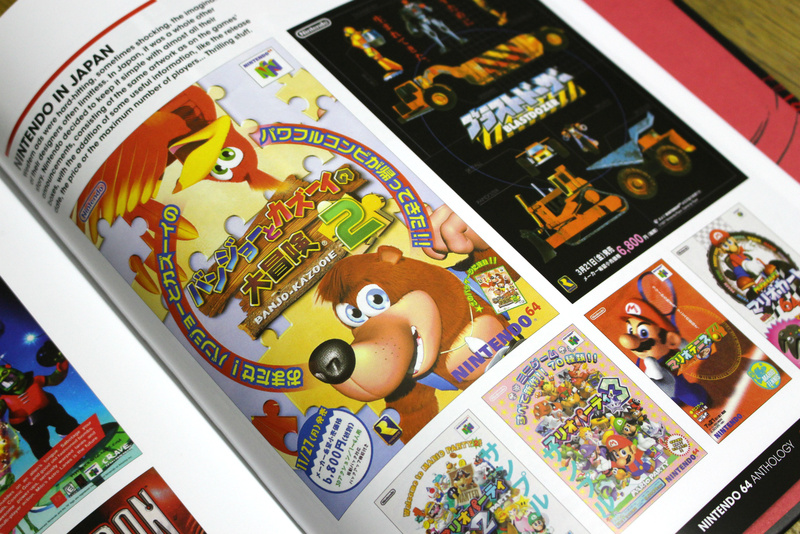 The A-Z section includes information on each title, box artwork, screenshots and a small description giving you a flavour of the game in question. Naturally these mini-reviews are based on the opinion of the author, but in general Manent's verdicts are pretty much spot-on and it's abundantly clear that he's intimately familiar with each and every one of these titles. There are a few instances in the book where it's obvious that the author's first language isn't English, but they are few and far between – and such minor hiccups are preferable to not having the book in English at all. Such a lavish product doesn't come cheap, however. 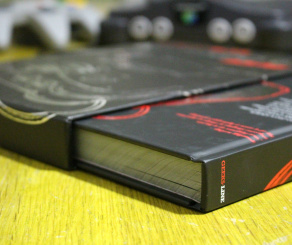 The collector's edition of the Nintendo 64 Anthology costs $55.90 (approx £45 / €51) while the standard "classic" edition is $44.90 (approx £36 / €41) before you even factor in shipping, which makes this one of the more expensive books we've covered in a while. We dare say that it's more than worth that price though, packing in so much information, imagery and passion that you're unlikely to feel short-changed. 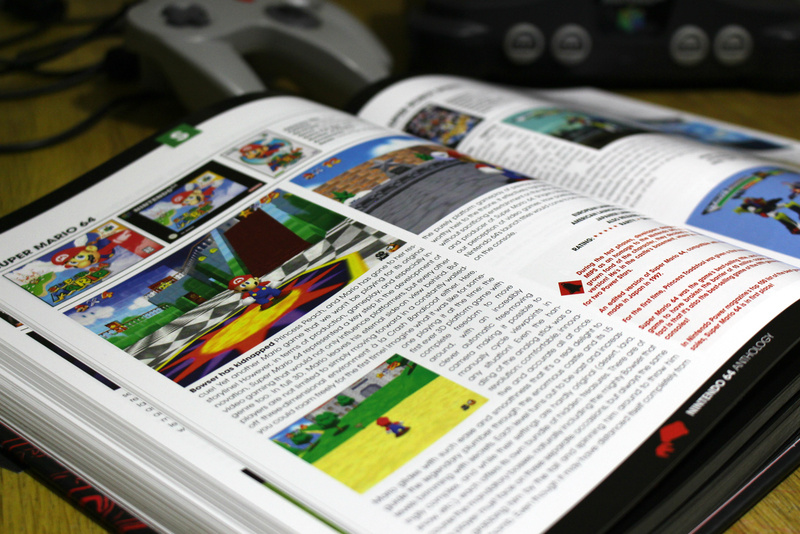 The N64 may not have matched its forerunner the SNES in terms of commercial success and software support, but it is unquestionably home to some of the best games ever made – Super Mario 64, Zelda: The Ocarina of Time and GoldenEye 007 being just three examples – and this book is the perfect way to truly celebrate the legacy of one of Nintendo's most remarkable platforms. The N64 is one of my favorite consoles. Buying this right now. 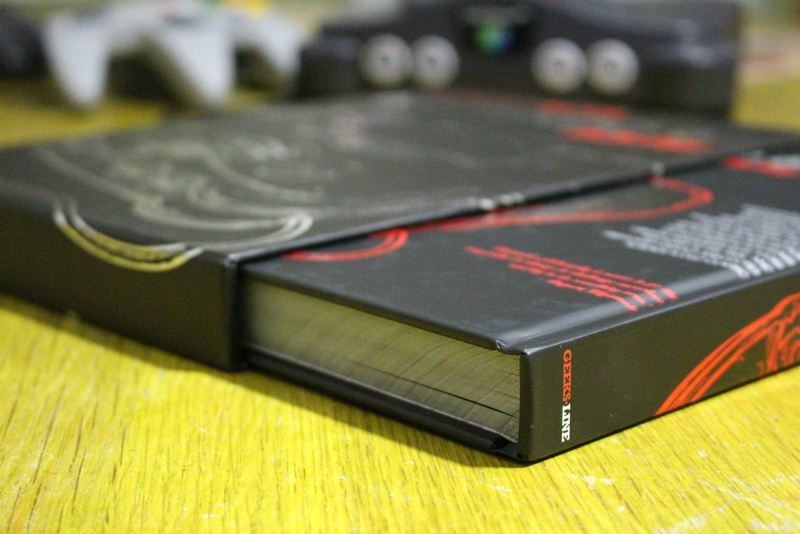 I managed to get my hands on the deluxe edition with the print, second book of box art pictures and bookmark. It's certainly worth the money and looks great on my shelf. They haven't shipped outside Europe yet, gonna have to wait till some time November, apparently. At first glance this seemed like a really good purchase for me — I gobbled up all N64-related journalism back in the day — but I am more interested in the little funny development-side stories, how certain decisions were reached and things were discarded, problems during development and how they were overcome, etc. This sounds more like a glossy catalog of N64 games with descriptions and screen shots. Am I wrong? Is there something more for the development-curious reader? Sounds like a good book but not a must-buy for me. @Zach according to the kickstarter, it will have some interviews with devs, namely the guy in charge of GoldenEye, and the guy in charge of Superman 64. 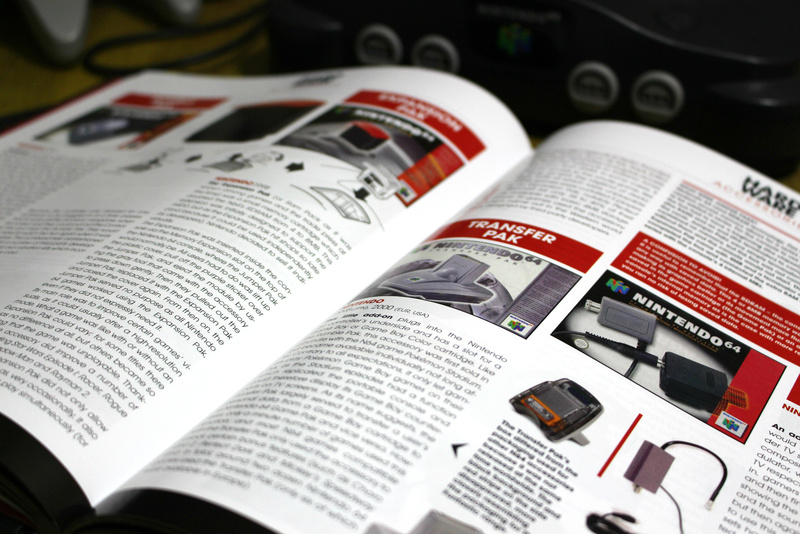 It also promised a comprehensive history of how the N64 came to be. 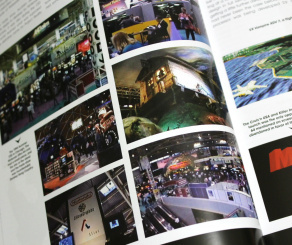 A few screenshots in the book from the kickstarter page looks like they came from press materials, videos, etc. already floating around, but now in a published form. If anything, the Superman 64 interview should be new, I haven't found anything online regarding it. Thank you for this awesome line of book reviews. Keep up the good work. It might be interesting to someone who didn't actually experience the N64 back in the day. For me though, I lived the hype, I got the console on day one after queuing all night outside the Virgin Megastar and I loved it. 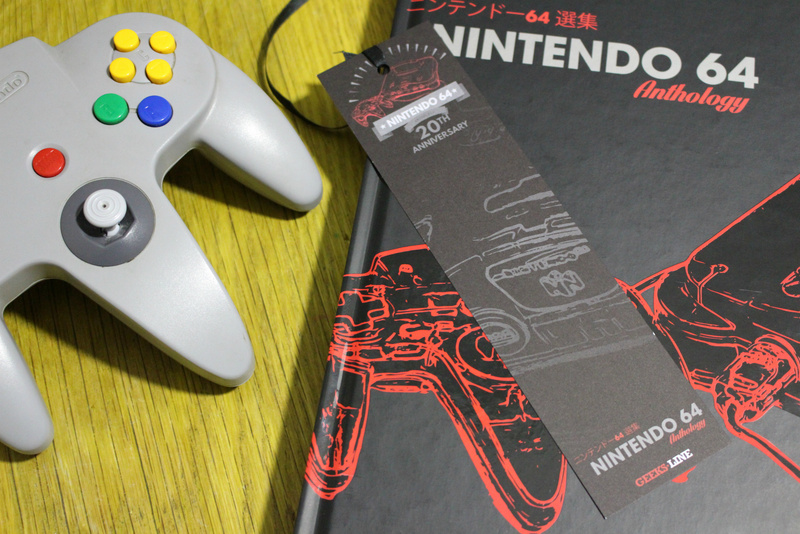 Looks good, but I am obsessed with N64 that much I would say I know quite a lot within the book. I'd love a proper re-designed controller in which the stick isn't flawed. To say that evidence of the Author's native language not being English are few and far between is extremely generous, as every page contains at least a paragraph which gives that fact away. And the over use of the exclamation mark is absurd. Other than that it's good nostalgia fodder. Best games ever were created on this system. Why couldn't Nintendo make a N64 HD and just focus on gaming instead of new console designs? Thanks for the review. I have my copy pre-ordered. The console has a strong library of games. Will be an interesting read. Don't like the cover design but the book generally looks very cool. It's nice to see people like me were so fascinated by the N64 back then. It still to this day seems more next gen than anything I've experienced since. Seeing Blast Corps and Mario 64 back then and Metal Mario was an absolute revelation and nothing for me personally since has come close. The 2nd best Console of time behind the SNES. @Mart1ndo I'd say this book is written for people like you then! N64 is by far and away my favourite console, and I consider myself very knowledge-able on the console, but there's plenty here for experts too. I promise you it is worth it. I hope you guys are planning on reviewing a certain NES guide book (aka Pat Contri's Ultimate Guide to the NES Library). It's fantastic. @ottospooky Hello there! Glad to hear that you're pleased with your copy! I hope everyone else enjoys it too! @Timber Hi! I'm sorry to hear that the book isn't what you expected. It is indeed a translation from the French by native English-speakers, so you are correct in believing that the author himself, and therefore the original content, are French, but I'd be curious to find out what exactly you disliked about the adaptation? I'm not usually that quick to change my opinion 🙂 but yeah your right I would actually enjoy this book. Let's start with this. Pg 358, middle column. That is not my surname. It's like an actual N64 Console was dropped on a qwerty keyboard, twice, to come up with a surname like that. @Timber As the list of backer names was automatically generated by Kickstarter, I'm not sure what could have happened... I sincerely apologise for the disappointment, and I'll try to get to the bottom of it all as quickly as possible. @Timber Do you mind my asking, what name did you use to back the campaign? I won't post my full name here. But my first name is correct in the page reference I gave above and it's three letter's long. My surname is "Carolan". It's not a massive deal, it's more for you guys if you do something like this again in the future. And I don't won't to be purely negative about the book, I really like it, it's pretty in depth and I've learn loads of new things and it's so well put together and it was obviously a passion for all those involved. I just decided to comment here as the article above picked up on the only thing I wasn't happy with. I'm glad you enjoyed the rest of the book, we put as much into it as we could given the time constraints so we deeply care about readers' reactions. And I am sincerely sorry that there was an issue with your backing. If anyone else has any comments (positive or negative), feel free to tag me and let me know!